Whether you are covering an unsightly fence, creating a privacy screen or filling in an arbor, a fast-growing, attractive vine is a simple, inexpensive choice. Though the visual possibilities may appear endless, you should allow your proboscis to have a say in the matter. A beautiful, sweet-smelling vine not only pleases the senses, but adds another dimension to your garden. A member of the buttercup family, the virgin's bower vine (Clematis ligusticifolia) is a California native with delicate, jagged leaves and large groupings of aromatic, off-white flowers. The vine flowers from July to September and typically covers 10 to 20 feet. The flowers grow to 1 inch in diameter. The seeds are distinctive, falling in elegant, bean-like clusters. The vine grows best when the roots are shaded and the vine is open to the sun. Chilean jasmine (Mandevilla laxa) is a deciduous vine that grows 10 to 12 feet long. Lush green leaves, accented by clusters of elegant white flowers, lend a tropical feel to the garden. 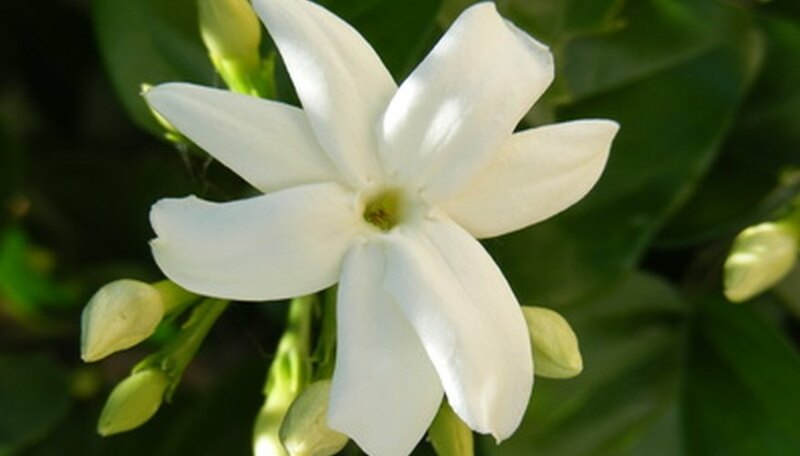 Richly fragrant, Chilean jasmine prefers heat and grows best in full sun. Average water will suffice, though don't overwater. This exotically beautiful vine is attractive to birds, bees and butterflies. Caution is advised, as parts of the plant are poisonous if ingested. With the characteristic giddy display of delicately formed, soft-pink roses, the climbing sweetheart rose (Rosa 'Climbing Cecile Brunner') is a traditional favorite. This showy, yet demure, flower is a strong climber capable of not only covering unsightly areas, and turning them into an advantage. Reminiscent of an English garden, the sweet scent is inviting to those lucky enough to be in proximity. 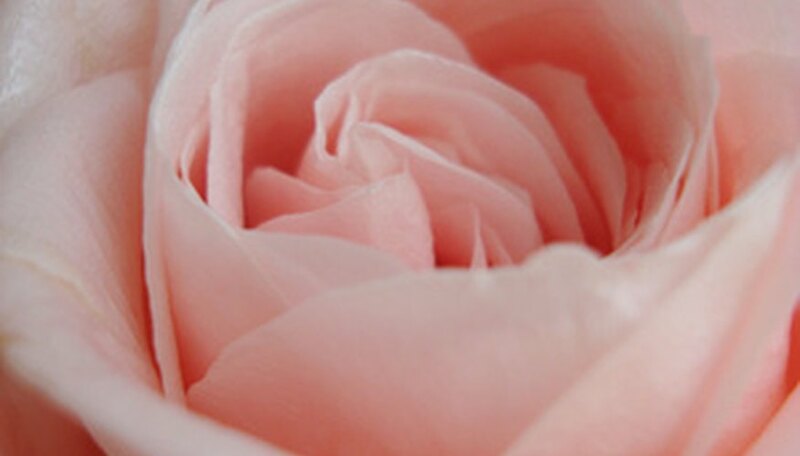 Roses are long lasting and beautiful as a cut flower. Pruning is generally necessary and planting in full sun is your best bet. Blooming is most heavy in spring, but will continue to tease you through fall. Once established, it needs little to average water. The cup-of-gold vine (Solandra maxima) is a vigorous, subtropical vine that is evergreen. Flowers are a dramatic yellow to gold color and grows from 6 to 8 inches in diameter. Bell-shaped with red-orange markings, the flowers wait until dusk to permeate the night air with scent. This vine requires full sun. With deep green leaves and a growth height of up to 30 feet, the cup-of-gold vine is striking in appearance. It has average water requirements. Care must be taken as all parts of the plant are poisonous if ingested. Based in California, Andrea Peck has been writing science-related articles since 2006. Her articles have appeared in "The Rogue Voice," "Information Press" and "The Tribune." Peck holds a Bachelor of Arts in mathematics and a minor in biology from San Diego State University.